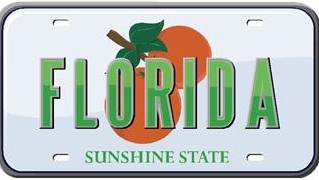 This Tuesday is the official start day for the 2012 Florida Legislature. Insurance issues will be prominent but will not dominate. The dominant issues will be redistricting and the budget. Controversial and important insurance bills are being pushed by the insurance industry, the Governor, and the CFO. The most focus will be on reforming/repealing personal injury protection (PIP) and shrinking Citizens Property Insurance Corporation. But the list is much larger than this. See the 2012 Key Insurance Bills tab. The Senate Banking and Insurance Committee meets on Monday at 3:15 pm. See Meeting Notice, Meeting Packet, and Agenda for January 9, 2012 on the Senate Banking & Insurance Committee meeting page. The House Insurance and Banking Subcommittee is scheduled to meet on Wednesday at 8:00 am. The meeting packet and notice will be posted at this link: House Insurance and Banking Subcommittee meeting page.